If you’re like millions of other people who suffer from seasonal allergies, all of that sneezing, congestion, and your relentless runny nose has probably clued you in on the fact that Spring is right around the corner. Most people use over the counter antihistamines, like Benadryl and Claritin, but even this usually isn’t enough to fully combat the problem. So, this season, why not try growing some natural allergy remedies in the comfort of your own home? Below are seven plants that can be grown indoors or in your backyard that all have a track record of relieving allergies caused by pollen in the air. We’ve even included a bonus at the end that you won’t believe! No, not the sauce. Raw horseradish is naturally pungent, and much like wasabi, the aromatic shock from eating this is enough to clear your sinuses in a jiff! This makes it the perfect solution for anyone with a runny nose or itchy eyes with season, and because it can widen sinuses and increase blood circulation throughout your body, ingesting a liberal dose of fresh horseradish once a month has the potential to stymie allergy attacks in the future. You may not be familiar with its formal name, but horehound is actually a member of the mint family, and has been used for centuries all over the world as a natural remedy for coughs in the form of lozenges and as a treatment for other respiratory issues, such as chest congestion and a dry, scratchy throat. Most would say that the spicy kick of a cayenne pepper is what clears sinuses, which is true, but only partially. It’s technically the pepper’s capsaicin that gives the cayenne pepper its heat, and is also what is responsible for reducing your everyday allergy symptoms. By nettle, of course mean the infamous stinging nettle that is known for giving anyone who touches it a mild rash, and yes, we are telling you to ingest it. Stinging nettle might be the last plant that you’d expect to relieve your allergies, but it’s actually been used medicinally for centuries now. By boiling fresh nettle leaves into a tea, you’re able to release the histamine that resides naturally in the plant. From there, it’s entirely possible to achieve almost immediate relief from your itchy eyes and runny nose- all thanks to the plant’s anti-inflammatory qualities. Yes! This big, beautiful, decorative flower also has medicinal properties, and ones that can help relieve allergies to boot! By boiling the flower into a tea and drinking it, or crushing it down into a salve and applying it topically to an allergic rash, you’re able to benefit from its soothing qualities, which can really help with itchy eyes or a sore throat. If left as a decoration, it can also help to purify the air. A bulbous plant in the daisy family, Butterbur has been cultivated for its medical use in fevers and coughs for centuries. Today, we know Butterbur is better utilized as a remedy for allergies and migraines. Butterbur has had multiple research studies done on it, which found it to be as effective, if not more so than conventional, over-the-counter antihistamines like Zyrtec and Allegra.The root is the most active and commonly used part of the plant. It is generally taken as a tea, but it should be mentioned that because of the toxic pyrrolizidine alkaloids that partly compose it, you should consult your doctor on the correct dosing. Tumeric is sort of a ‘wonder drug’ in the world of natural remedies, so it makes sense that its also been shown to relieve allergy symptoms. 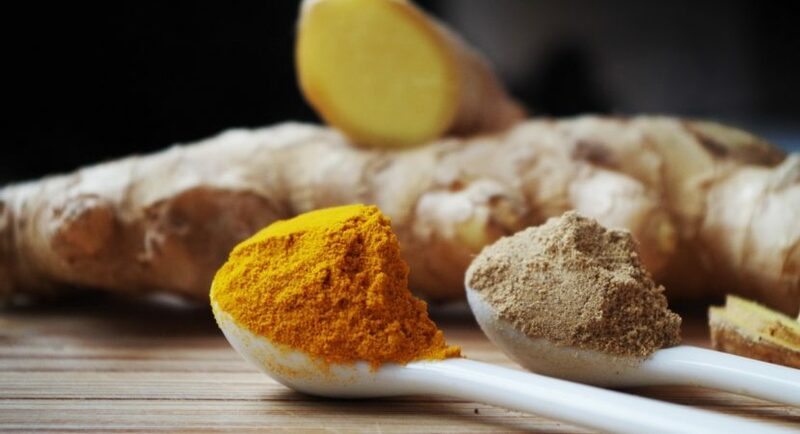 It’s active ingredient, Curcumin, is what gives it an anti-inflammatory quality, and has been exploited by allergy victims to lower their histamine levels since before we had modern medicine. Most take it as a tea, but it can also been included as a spice in meals. While it’s true that you can’t *technically* grow honey in your backyard, you can pick up beekeeping as a hobby, and have your very own supply of raw honey waiting for you at home! While it’s not backed by scientific research, folklore claims that by ingesting the small amounts of pollen already found in the honey, you’re deliberately introducing the pollen into your system, making it easier for your body to hold up against the pollen found in the air outside. While this can be reasonably asserted, the reason thyme honey is on this list is because it contains more than just small amounts of pollen. It also has a higher level of quercetin and rosmarinic acid, two separate ingredients that studies have found lower the threat of an allergic reaction. Do you have any of your own natural allergy remedies that you’d like to share? Maybe you disagree about the effectiveness of honey in treating allergies. What should be noted is that when it comes to allergy relief, there are alternatives to over-the-counter medicines.